When you first think of SEO, the last thing you consider is your Robots.txt. Nonetheless, it’s one of your most instrumental tools in getting your site indexed. There are also several ways you can edit your Robots.txt file to raise or diminish the presence of your new site. Aditya Singh posts a strong guide on the subject. Interested in competitors? Wondering whether your site is improving over time? Truth be told, when analyzing either our site or another’s, we tend to look at easy indicators of growth via Alexa rank or mentions online. While those are significant in their own right, you can scrub greater insights by checking more impactful statistics such as Alexa Traffic Growth and link velocity (the number of links a site gathers over a period of time). Razvan Gavrilas demonstrates how to get these metrics and more in a post on SEJ. Common sense dictates that if you have more readers, your traffic will grow. Therefore, it’s only natural to assume translating your blog into different languages brings you more readers, no? Neil Patel increased his site’s search traffic by 47%, but acquired lower click-thru rates in the process. Read on for how he managed to translate his site. Are you optimized for search this year? These days it takes a concentrated effort across multiple channels in order to receive search traffic. You’ll need to research long-tail keywords, become active on social media, and actively promote your website (most people neglect this important step). Mackensie Smith expands upon seven SEO strategies to implement in 2015. 75% of brands never produce video on their website. Yet more than 45% of consumers are clamoring for this kind of content. Video is growing exponentially across all platforms, including Facebook, YouTube (of course), Twitter, and even LinkedIn. Megan O’Neill explains why each network is significant in the rise of video consumption in this post. Automation both has and does not have its place on social media, depending on the context. If you’re using scheduling to share posts, consider that an effective use of automation. Automatic DMs on the other hand, not so much. Artificial engagement continues to be a generally disliked notion among consumers. Carlos Filho talks on the rules of social automation. Simon Kemp goes into detail on the rise of democratic brands in this awesome article (golden insights on proper branding philosophy). Instagram is quickly becoming an unlikely source of traffic and brand loyalty for local businesses. To keep this gravy train going, be sure to continually optimize your Instagram profile, using hashtags, and producing the highest quality photos for your followers. Oh and don’t forget to follow back! Umar Khan shares the rest of his growth hacks for the platform. Restaurant Coverings covers all of the burning questions you have for local SEO in this top notch guide. Google My Business is one of the most effective platforms for managing your local search engine presence. Track reviews, visibility, and traffic to your brand pages while having total control over your business information (hours of operation, etc.) all in one place. Brian Barwig further highlights the benefits right here. Facebook Place Tips is just one of the many features soon to come that take advantage of social media, mobilization, local optimization, and UGC (user-generated content). These tips allow you to get featured on users’ streams when you become locally relevant (i.e. they’re at a location near you or your content is relevant). WIth this in mind, it’s clear that perfecting every aspect of your Facebook Business Page, including content and engagement, puts you far ahead of the pick. Mark Traphagen has the full post. The folks at WebPageFX gathered more than 6,700 holiday emails for study. 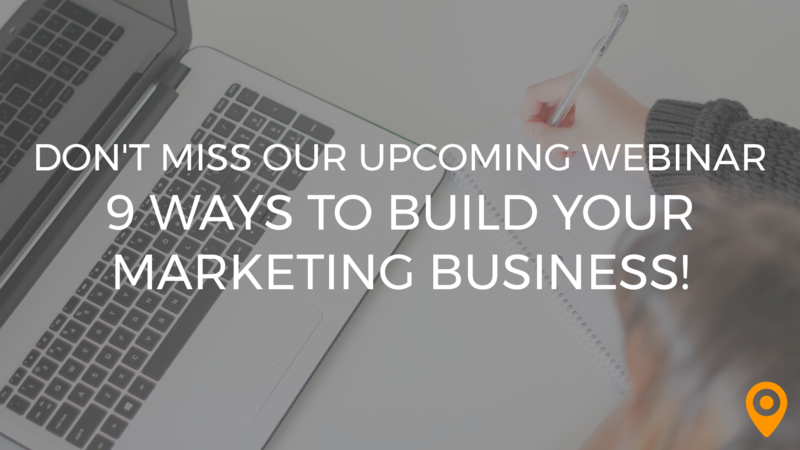 What they uncovered could potentially transform your email marketing strategy for the better! For example, the most optimal word count for email subject lines is seven to eight words, seven being the preferred count. Oh, and don’t forget to send your emails early (engagement is best 9:00AM sharp!). Read the rest of the information to gain the insights. If you’re an email marketer, chances are you’re missing out on crucial local business deals. Increase your email-to-call ratio with consumers using scheduling apps and specific calls to action to get some activity going. Daniel Faggella shares more on how to create additional phone opportunities here. You would think longer emails would fall short in terms of reader activity and transactions, but you’d be wrong. Longer content always works for parties interested, while at the same time turning off disinterested readers who weren’t going to buy anyway. The key is making your content more scannable – if your audience can’t read it, no one will stick around for long! Read this post by Steli Efti for more info. Even the greats make mistakes (which is good for us, as we can learn from them while at the same time seeing that its okay for regular people like us to make mistakes and still succeed). Using uninspired subject lines and forgetting meaningful calls to action is ineffictive no matter who you are. Instead insert clearer and valuable calls to action that serve your customer. Heather Morgan puts KISSmetrics in the hot seat in this article. Considering the state of content across the web, visual content will continue to stand out more and more above simple text-based information. The reason for this is our brains process images much faster than text. Visuals also positively influence social shares. Danny Ashton lists the rest of the reasons you should care about your content visuals. If you’re looking for places to promote your content, this is the definitive list! Kevin Fleming helps us get the word out in this post. Matthew Capala points out seven of the most overlooked content monetization platforms this year. Independent content creators, take note! Brian Dean’s video on building traffic using ELPs (expanded list posts) is excellent. Need we say more? A single post of his based on this content generated more than 100,000 visitors alone. Louis Columbus shares interesting metrics on the mobile application market, including the fact that mobile e-commerce will become a $300 billion this year. Whoa. Google’s mobile ranking guidelines will be in full effect in April. If mobile users are your target, get your site optimized, pronto! Owen Williams updates us on the state of Google Mobile Search. 2015 has shown the mobile device to be an unstoppable force – so much so that it’s continuing to influence our very lives. Macy Jones puts together five predictions we’ll see in the coming months regarding mobile applications. Today, it’s easier than ever to purchase off of mobile devices. This is our opportunity to reach a consumer base hungry for the solution YOUR business provides. Grab a larger piece of the pie by employing a smart mobile strategy, in addition to leveraging location-based notifications. Alex Campbell’s post has the answers. Rae Hoffman not only provides a wonderful example of an A/B test, but goes through her thought process describing what and why she tested certain aspects in her experiment. It’s important to take into consideration other variables that could influence the results of your test. Read the full post to see the results. A reputation is a hard thing to build, but easy to break. Jon Ronson posts this interesting piece on how one person loses her job and reputation in one fell swoop.